I will be buying this Scrub Sponge set again. I use the scrub sponge every day. 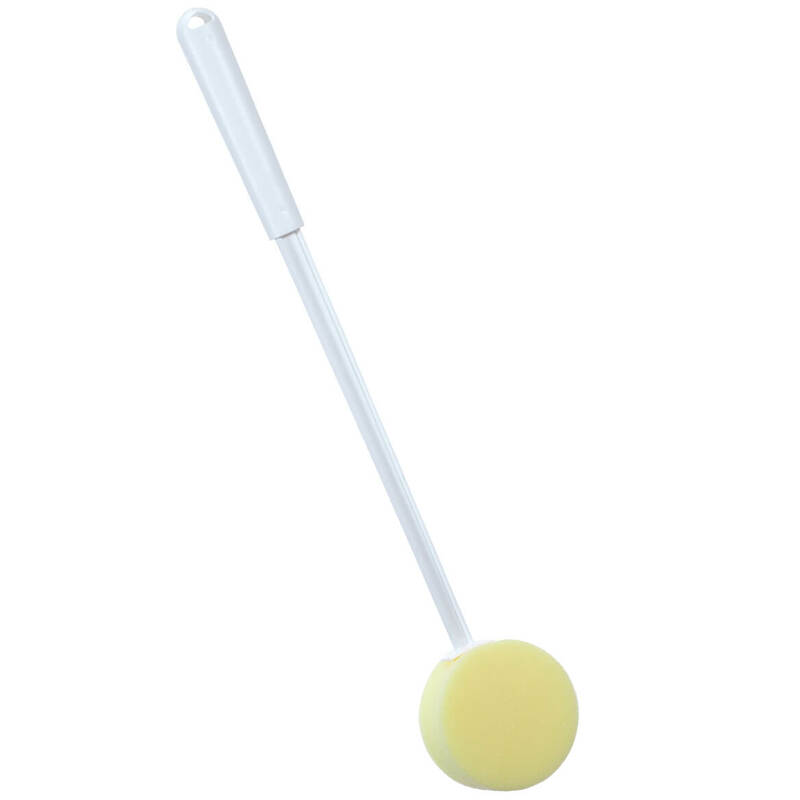 I use this for my dishes and kitchen countertops. They hold up well, clean thouroughly, are a great price for the quantity, and I can always pop them in the microwave to kill any bacteria. This will be the third time I am ordering them. Love these sponges they get the job done. Got had si many i shared them with friend s and family. They really love them. I use them alot for little things and my dishes. I use them to clean the bits on my bridles for my horses. Easy to use. Be careful what the green side is used on. Try on small place first. 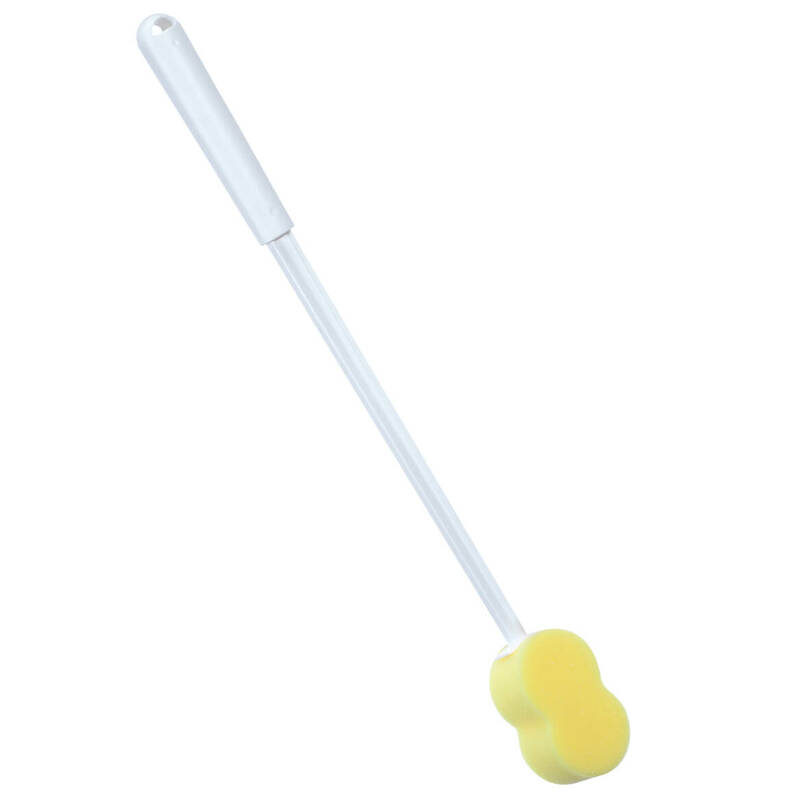 works fine on small chores, but, sponge is too small for anything else. these sponges are good for light work and don't last long but you do get alot of them so really can't complain! It is not good for picking up water. I used one and was totally unsatisfied. When I took it out of the package I could see I was going to be disappointed. There isn't even enough strength on the scrubber to scrub.these sponges were so flimsy that I am returning them. Completely worthless. These are faux sponges. The yellow side isn't absorbant. As other reviewers have said, it will only take one use to realize that these sponges are not worth the investment. 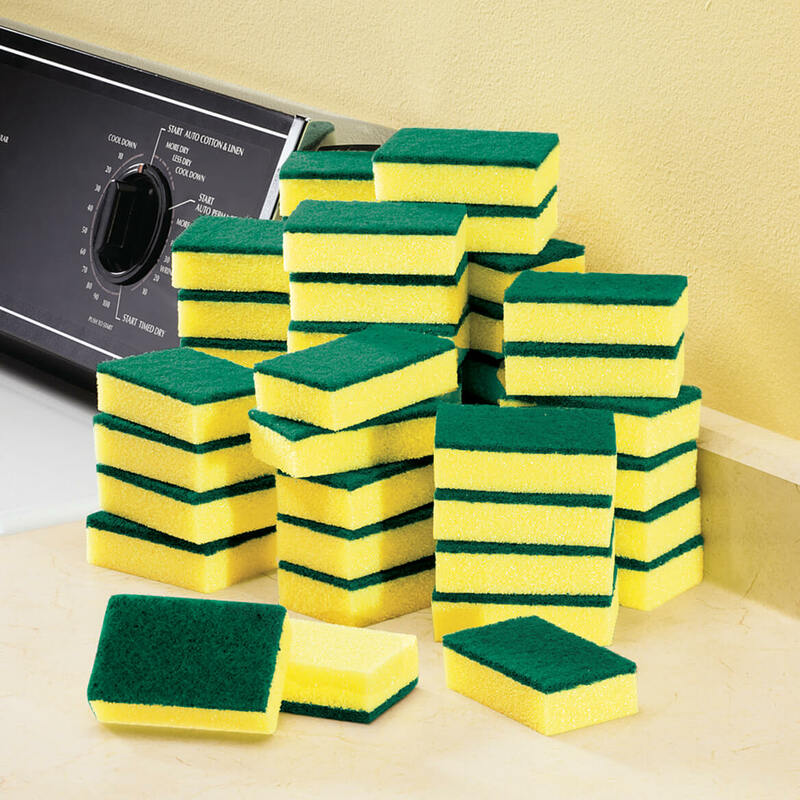 One real sponge will prove to be a better value than this set of 50. This product gets one star only because zero stars is not an option. I have 50 sponges I don't know what to do with. I should send them back, but package has been opened and I tried one. The 26 cents an individual small sponge comes out to is NOT worth the price. One only lasts about 3-4 times & has to be thrown out. Big disappointment. Under-sized, good for about 1-1/2 uses before falling apart, a complete rip-off. These are a joke....some kind of yellow foam with a scratch top.....after trying to use these for three days I just threw the garbage out. Very disappointed and doesn't leave much confidence in Miles KImball products. First they are too small, Second they fall apart after simple use. I now have a bunch of scrubbers that are completely useless due to the sponge separating from the scrubber. Very poorly made. I use these all the time and thought this was a good deal. Useful items, & reasonable price. can always use for cleaning etc. Have wanted these for years! I also have places they can be used at our church. 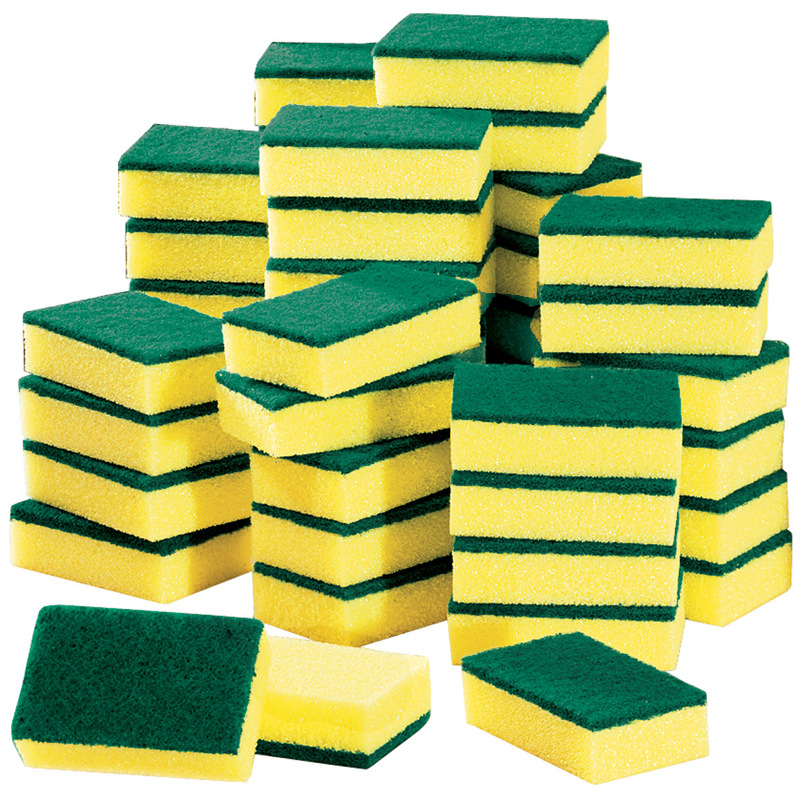 Excellent value for a well known, tried sponge that facilitates household chores. Great Deal on these sponges. Like the size of these sponges. theses sponges are awesome.......they do the work good. Good price too. NEVER HAVE ENOUGH OF THESE...SET OF 50 IS TERRIFIC. THANKS. Sponges, in my home, are a necessity so seeing so many of the best size for me at this price was a must. I hope they last like the ones I use now. always needed in the house and the shop. for kitchen clean ups that are more sanitary. we can change them more often. I have ordered these before and they are a perfect size. BEST ANSWER: Thank you for your question. No, they are not individually wrapped. We hope this information will be of help to you.